As with the other colonial powers smuggling opium into China, bribing corrupt officials, and generally making a mockery of Chinese sovereignty during the 19th and early 20th centuries, Great Britain maintained "spheres of influence" within China, and maintained post offices there and in Hong Kong. This understandably led to some resentment among the Chinese who attempted to forcibly eject the foreign parasites. 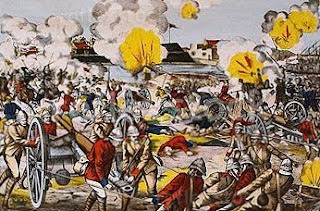 The Boxer Rebellion (1898-1901) was crushed by the multinational China Expeditionary Force, to which the various colonial powers had contributed personnel. In a truly British combination of efficiency and irony, Great Britain added Indian units to the C.E.F., thereby setting one colonized and exploited people against another. In 1904, a set of nine Indian stamps from its Edward VII Issue were overprinted for use by the C.E.F. (Scott #M12-20). 5,568 sets were sold, and Scott '12 prices the unused set at $118.00. The set has potential appeal in three growing markets: collectors of British Commonwealth, India, and China. Many of the best investments in Indian stamps are to be found among the obscure colonial back-of-book items and the Convention States. The Indian stamp market is really just beginning to take off, and is at a stage similar to the Chinese stamp market of 30 years ago. The set should also do well based upon demand from China, but that may require a change in attitude on the part of Chinese collectors. Many, if not all, of the better foreign offices in China stamps are grossly undervalued, because most Chinese collectors disdain them as relics of foreign imperialism, which they are. Nevertheless, I feel that they are excellent investments solely on the basis of growing demand in their home countries, and because I believe that eventually, the Chinese will bid them up as well. Many of these issues are undervalued to such an extent that they are currently selling for less than P.R.C. souvenir sheets and Cultural Revolution sets which are at least 30 to 100 times more common. When reticence begins to replace rage, they will zoom upward at a rate that will shock and amaze the the vast majority of collectors who unwisely neglected to read this blog. 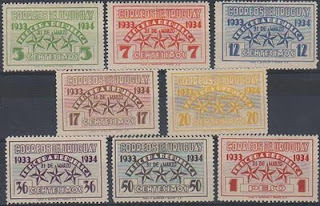 In 1934, Uruguay issued a set of eight stamps commemorating the First Year of the Third Republic (Scott #454-61). 4,409 sets were issued and Scott '12 prices the unused set at $35.70. 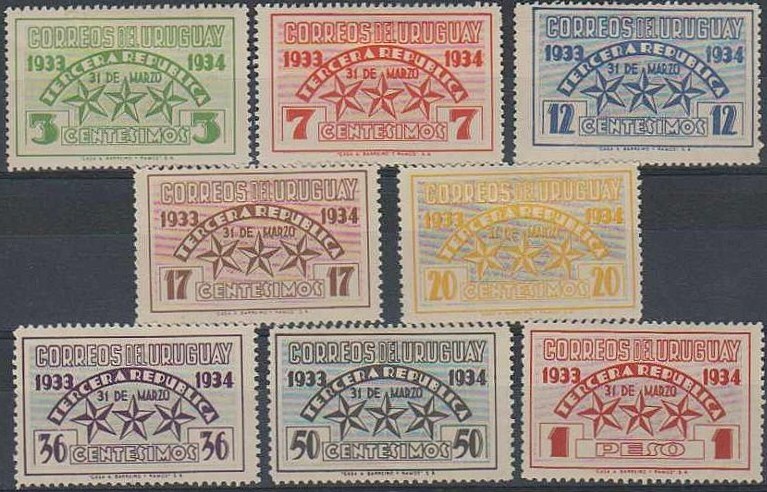 The three stars depicted on the stamps symbolized the three constitutions, the third of which transferred total power to President Gabriel Terra, who had organized a coup d'état, dissolving the General Assembly and governing by decree. It is likely that most of the sets were used as postage and discarded. The set is grossly undervalued, especially considering that there are many collectors of Latin America who focus on the region as a whole. I have begun a new blog, "The Stamp Specialist", which will feature wholesale buy prices for stamps which I am interested in purchasing. It includes a buy list for Uruguay, and includes the set recommended in this article. Viewing dealers' buy lists every now and then is an excellent way to keep current on the vagaries of the stamp market. 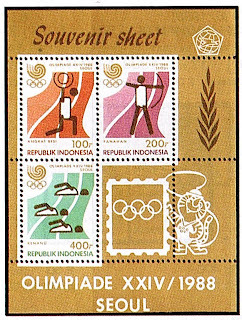 In 1988, Indonesia issued a pair of souvenir sheets celebrating the Summer Olympics (Scott #1354a-55a). 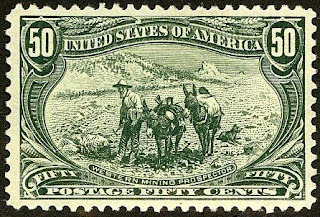 Only 20,000 sets were issued, and Scott '11 prices them unused at $45.00 . 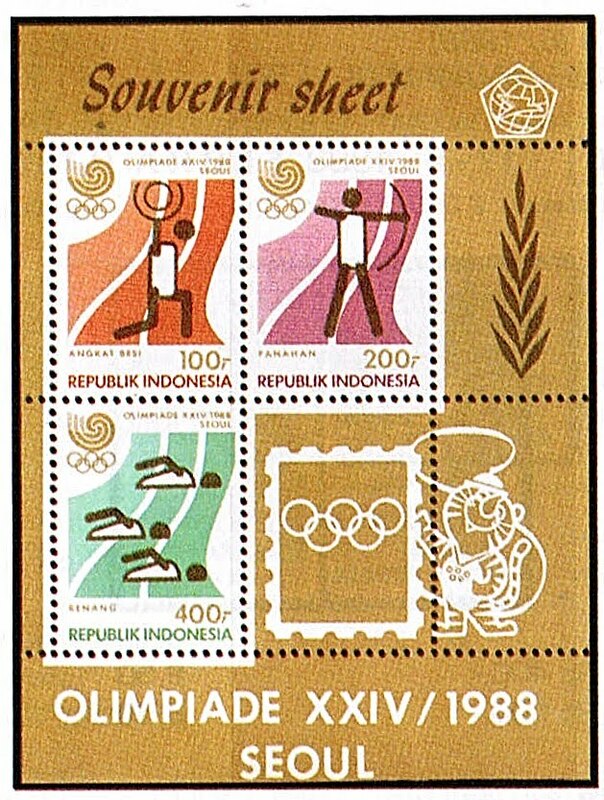 Olympics issues are among the most popular Sports topicals, so demand for these souvenir sheets should continue to increase on that basis alone. A recent Price, Waterhouse, Coopers report projects that Indonesia will be one of the world's fastest growing economies over the next forty years. Should this prove accurate, and should a burgeoning Indonesian middle class provide a base for a developing stamp market, then it is likely that the values of the country's better modern souvenir sheets will increase many-fold. Indonesia is a rapidly developing, though still poor, country of 230 million people, with an annual GDP growth rate hovering around 5%-6%. It is the largest economy in Southeast Asia. While the manufacturing and service sectors are growing rapidly, agriculture still employs more of the working population than either. The country has extensive natural resources, including crude oil, natural gas, tin, copper, and gold. Its major export commodities include oil and gas, electrical appliances, plywood, rubber, and textiles. Like most emerging market nations, Indonesia faces challenges which will have to be addressed, including corruption and major inequities in the distribution of income. 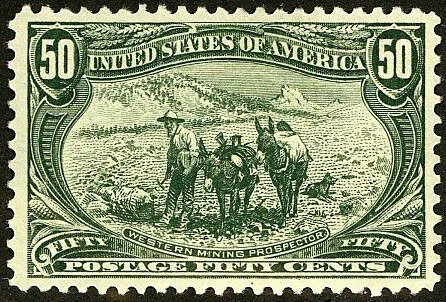 Every once in a while, a collector may be confronted with the problem of classifying a stamp according to its color. While this is usually quite easy, there are certain instances in which rare color shades exist, and the price difference between a common shade and a rare one may be quite extreme. What does one do when it's necessary to figure out whether a stamp's color is rose, rose pink, pinkish rose, pink, or pigeon blood pink? My solution is either to have reference copies on hand, or to show the stamp in question to an expert (and submit the stamp for a certificate if necessary). 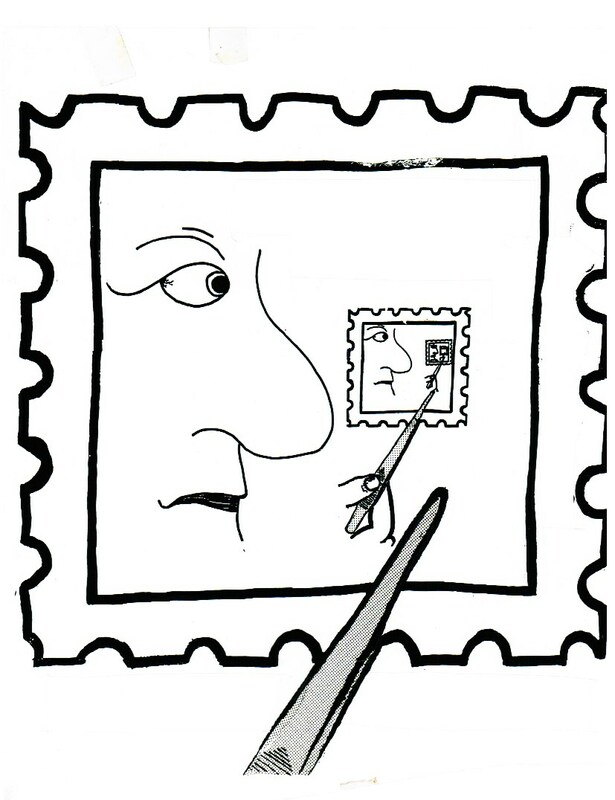 For masochistic philatelists who wish to read a someone dense article on the subject, I've copied an article which appeared in the July, 1945 article of India's Stamp Journal. To many collectors the subject of color is a perplexity and increasingly so when one endeavors to specialize in tones and shades. Descriptions of color can be very misleading, for the very good reason that so few people can agree upon the name to be applied in describing the color seen. This is generally speaking, so that when one refers to catalogue descriptions, so often are contradictory names applied that the result is often bewilderment. 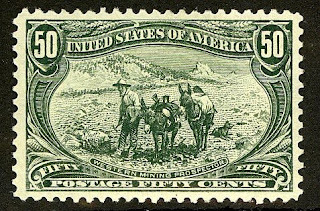 One explanation is that in some catalogues the early descriptions that were applied have not been modified, and such names are applied to the modern colors of stamps, and owing to the increasing variety of tones and shades such names cannot be aptly adopted. In the days of the line engraved issues colors were more consistent and where shades emerged these were more or less followed. It was thus possible for the catalogue compiler to more correctly give the shade, it being over all a far smaller range. As time passed on and other methods of printing were used, also varieties of paper and gum, these added considerably to the shades of original color. The study of naming color has not kept pace with the increasing variety and this seems to apply not only in the philatelic world but in every connection between mankind and color development. Various authentic color dictionaries have from time to time been issued, all very excellent in their intent, but nevertheless although produced by color experts, they too conflict in their descriptions. Pure colors are of course the primaries known as the blue, red and yellow and should present no difficulty to anyone who is not color blind, but the problem starts in the mixing of these shades. Where such colors are equally mixed it is supposed that one would secure pure secondary colors. Fifty percent each yellow and red provides the pure orange and 50 percent each of yellow and blue provides the pure green, but it is when these percentages are not equal that one finds an endless variety of tones with a leaning towards that part possessing the greater proportion. Often one finds references to bluish green, dark blue green and so on and one can grade greens of the blue tone section by moderating the amount of blue from 51 to 99 percent and finally securing practically a blue, and of course the green tinge disappearing as the amount of yellow decreases. The same process can be applied in the opposite direction and withdrawing the amount of blue and increasing the amount of yellow and obtain yellowish green until the almost pure yellow is left; and so with the mixing of all primary colors. Other causes of variety in shade are not always intentional, since if one made up a pot of dye, be it a mixture or a pure color, one would obtain different tones owing to the fact that, in the case of stamps, atmosphere, paper and gum can affect the color ultimately seen by the eye. A specialist in philately knows the vast range of papers and would have observed even in the current Colonial issues that the new white paper has contributed in altering the shades of the colors. A glossy paper can give a greater reflection of light and thus the color seen by the viewer is one of brilliance. On the other hand, exactly the same color used on a mat surface is more penetrating and gives deep but flat tones and chalky papers will show colors best described as somewhat “clotted.” Sometimes a white gum is used and sometimes a deep yellow and the latter seems to eventually penetrate the paper and mellows the colors considerably. It is somewhat difficult to make clear this deeply involved subject, but it is hoped that the foregoing has given a few examples of the various contributing factors that can render different shades even if the same pot of dye was used for the printing. From these circumstances it will be seen that no true color descriptions can be given very easily to a stamp and if at any time a color dictionary was created for the benefit of philatelic color specialists, then such printed colors would need to be shown upon the different types of papers used by the stamp printers, and at the same time provision made for the effects on paper by gum, incidentally the colors. The next step in the writer’s mind in the creation of an ideal philatelic color vocabulary would be to print gradations of primary, secondary and third stages of color mixtures and these should be upon a cross reference, numbered graphed squares. For example, on the left-hand side of the page would be a square of pure green being made up of 50 percent each blue and yellow and along the side of this square would be the gradations leading to 99 percent blue. On another page would be the pure green with the amount of blue decreasing until 99 percent yellow was left. As the graphed paper would be numbered one upwards, one would be able to refer almost correctly to any shade be it green 23 or green 49, for example, and by such method some uniformity could be arrived at in the establishment of the catalogue color and descriptions. Other mixtures should be illustrated, for example the above green shades mixed with percentages of brown, red, etc. Referring to the difficulty in naming color, one has only to see the latest color dictionary produced by the British Color Council, and most inconsistent is in the violet family. This comprises such description as violet, purple, mauve, heliotrope and amethyst, to name a few, and these descriptions are sub-divided by the additions of floral names. Such as in the purple family we have fuschia, cyclamen, orchid, petunia and such colors which are almost identical with many of the violet and mauve families, to which can be added the color described as magenta, practically identical to certain of the purple family. In describing colors one can assume that floral names are applied more than any other, but any person with a knowledge of color knows quite well the vast range of colors in most flowers, for very few are consistent. Perhaps the most reliable is the yellow crocus. Very misleading is the term “lilac,” which exists in the palest shade of mauve, yet is to be found in deep purple, almost black purple. It would appear then that until the creation of a color dictionary whereby such colors are described other than by any of the present names, confusion will continue to exist, and in the field on stamps the specialist must rely upon his own judgment. He must however study the subject of color, but even so he will be able to arrive at no safe conclusions. It is interesting to note that in Nature one of the widest range of colors is to be seen in the family of greens, this being the color of foliage and remains very consistent. Thus the leaves of the Lily of the Valley can be relied upon to be an established shade, and likewise the green of Cyprus, the Myrtle, Holly, Laurel and so on, probably because no attempt has been made at modification, whereas in the floral world man’s interference with Nature in producing hybrids has led to the production of shades and colors never in the original creation. One has only to look at the rose family to recognize this. In conclusion, in determining a shade of a stamp one should hold this horizontally at almost eye level and should face a north light, and of course this means examining it in daylight. Much has been written on the subject for and against collecting shades and the writer would advocate all specialists to do so and to feature the range that exists. An excellent scheme is to finally rearrange the colors of shades of any one stamp in their graduated order from light to dark or vice versa and if anyone is interested a start can be made with the Indian so-called purple and magenta colors, but most noticeably with the British King George V 6d. In this issue the writer has a graded collection of well over 150 stamps from light to dark which covers the whole family of purples and violets, etc., referred to above. Carry on shade collecting. In 1934, the Italians celebrated the 65th Birthday of King Victor Emmanuel III and the first non-stop flight from Rome to Mogadishu by issuing airmail semi-postal sets for several of its colonies in Africa. 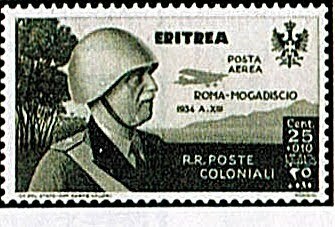 All of these air semi-postal sets were issued in similar quantities, including the Eritrean set (Scott #CB1-10), of which 15,000 were issued. Scott '12 prices the unused set at $29.25 ($70.00 for NH) . All of the better stamps from Italy's African colonies should do well over time, as they have potential dual markets among collectors of Italy and Colonies and the individual countries they became (or into which they were incorporated). Growth in Italy and Colonies collecting alone should be enough to sustain steady increases. Should stamp markets develop within the countries, all of which are emerging market nations, then the process will be accelerated. Eritrea is a newly independent nation with a population of about 5.2 million. Like many other African nations, its economy is largely based on subsistence agriculture, with 80% of the population involved in farming and herding. Drought has often created trouble in the farming areas. The country is still recovering from the effects of a war with Ethiopia, which ended in 2000. It has substantial mineral deposits and oil reserves which are largely unexplored. Annual GDP growth has averaged 2.6% over the last five years. 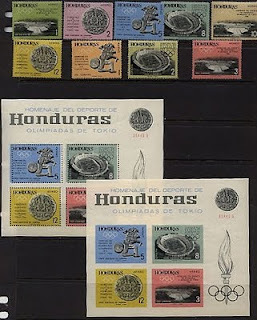 In 1964, Honduras issued a set of airmail stamps and two souvenir sheets honoring the Olympics (Scott #C336-44,C344Note,C344 2nd Note ). 20,000 sets and 5,000 of each souvenir sheet were issued, and Scott '11 prices them unused at $12.55, $40.00,and $50.00, respectively. 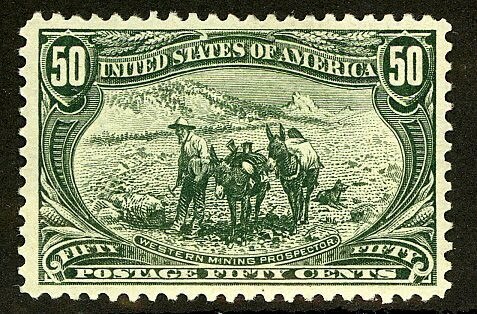 Also, a small portion of the sets were overprinted for Official Use (Scott #CO111-19; CV = $25.25). The sets and souvenir sheets have worldwide appeal as Olympics/Sports topicals. 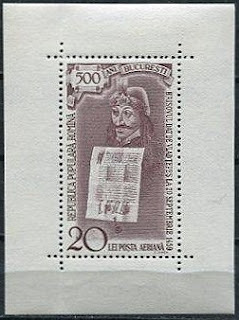 In 1959, Romania issued an airmail souvenir sheet commemorating the 500th Anniversary of the founding of Bucharest (Scott #C71). The sheet pictures Vlad III, Prince of Wallachia, commonly known as Vlad the Impaler and the basis for Bram Stoker's Dracula, the most famous vampire novel of all time. 30,000 were issued, and Scott '11 prices the unused souvenir sheet at $125.00. Despite Vlad's reputation as having been one of the cruelest and most bloodthirsty tyrants of all time, he is remembered in Romania as a national hero who stood up to foreign and domestic enemies. The souvenir sheet should do well as a bet on the growth of Romania's economy, and possibly also because of its interesting subject. I favor many of the scarce sets and souvenir sheets of the former Eastern bloc countries, because their values have plenty of room for increase as these economies play catch-up and develop within the free-market fold. A nation of 22 million people with a GDP per capita of $ 12,285.- (about 46% of the EU average), Romania is considered an upper-middle income country. It's main exports are clothing and textiles, industrial machinery, electrical and electronic equipment, metallurgic products, raw materials, cars, military equipment, software, pharmaceuticals, fine chemicals, and agricultural products. Annual GDP growth has averaged about 4% over the last ten years. "Kiauchau" is not something that you say when you sneeze, but a former German colony. Germany came late to the colonialism game, but nevertheless spent the last decade of the 19th century enthusiastically pursuing the goal of extending the "benefits of German civilization" to peoples who did not yet possess warships, artillery, carbines, or machine guns. Not to be outdone by the other major powers which had successfully obtained spheres of influence in China, Germany seized Kiauchau (also spelled "Kiautschou"), a district on south side of the Shantung Peninsula, in 1897, in order to facilitate its participation in the "China Trade", which largely consisted on polluting the Middle Kingdom with opium and draining it of gold. 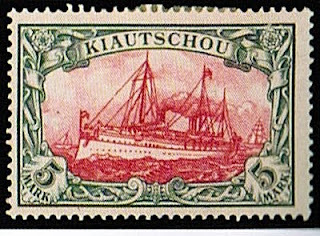 German Offices in China stamps were used in the new colony from 1898 until the Kiauchau's first stamps were issued in 1900. 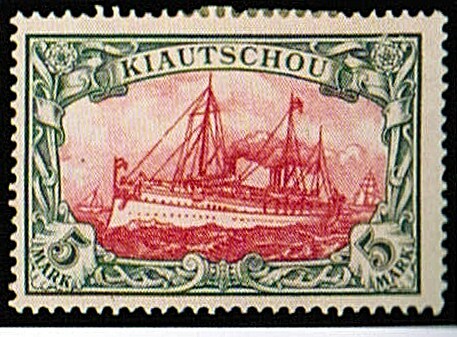 Germany issued 42 stamps for its colony between 1900 and 1909, most of which pictured the Kaiser's Yacht designs common among German colonies stamps. The rarest and most valuable are among the colony's first stamps- the overprinted and surcharged German Offices in China stamps called the Tsingtau Issues, some of which catalog in the thousands and tens of thousands of dollars. The better Tsingtau stamps should be purchased conditional on obtaining expertization. 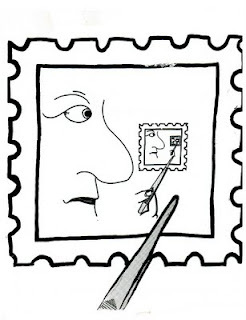 I favor all of the stamps of Kiauchau as long-term investments. As with all stamps issued by the colonial powers in China, these stamps have been neglected because the Chinese view them as shameful relics of that period of subjugation, which they are. Until reticence replaces resentment and demand for Kiauchau is boosted among Chinese collectors, the stamps' values will probably continue to increase steadily based on collector demand in Germany. Those interested in becoming part of an international community of stamp collectors, dealers, and investors are welcome to join the "Stampselectors" group and organization pages at Facebook. These host lively discussions concerning stamp investment and practical aspects of collecting, and are excellent venues for those who wish to buy, sell, or trade stamps.